Brace yourself (and your other, too) for the next instalment of this incredible drama series. If you didn't watch season one of Counterpart, you've missed on one of the most thrilling TV series of 2018. It's the ultimate spy drama, mixing John le Carré-style spy tension with a bold sci-fi concept. In the world of Counterpart, two spy organisations are pitted against each other from alternate versions of Earth. The show keeps the high-end science fiction ideas at a minimum and instead uses the idea as a way to explore the idea of the knock-on consequences of people - and governments. The trailer for Counterpart's second season has just been released, and it gives us our first look at what the next instalment holds. We're very excited to see where this surprising series takes us, with season two coming to SBS soon. Season one already delivered a superb cast, with JK Simmons, Olivia Williams, Stephen Rea, Jacqueline Bisset, and Richard Schiff in the cast, and at the top of their game. But with this new season they are really stepping it up again, with the addition of James Cromwell. "Your other is a spy... What do you think it was that made the two of you so different? A choice to turn left instead of right? Your other is out there right now, living in your life. Erasing you from your own existence." It appears that we have more meetings with the mysterious Management this season. This clip shows Peter Quayle (Harry Lloyd) and Roland Fancher (Richard Schiff) in a meeting with a representative operating the mysterious intercom system that connects the spies with Management. The theory proposed on SBS' The Playlist podcast during their weekly discussions about Counterpart, was that both spy agencies were reporting to the same Management group. We've seen on the show that the two different worlds each had different levels of technological progress, yet both spy agencies spoke to their respective Management using the same weird Polycom devices. Could Management actually be from a third, yet-to-be-revealed world that is manipulating the other two worlds? Blink and you'll miss this shot in the trailer with what appears to be Emily Silk, awoken from her coma, returning to work. Emily Silk, played by the awesome Olivia Williams, has been the wild card in the series. We got to know Emily Silk within the alternate world, but the Emily Silk to whom we were first introduced spent the entire first season in a coma. We learned a lot about her: she's a spy of considerable stature, she kept a number of secrets from her husband Howard, and her family members were very keen to separate her from Howard. Now that Emily is out of the coma, the entire status quo of the show is ready to be shaken up even more. And what happens when she discovers that her previously unaware husband is now trapped in the alternate world - a captive? The youthful, talented spy Baldwin (Sara Serraiocco) is seen held captive in the trailer, but we know that won't be for long. In a lot of ways, Baldwin is the opposite of Howard at this stage in the series. Both are trapped in worlds they're not supposed to be in, but for Baldwin there's nothing compelling her to return home, while Howard has his wife at home and another version of himself occupying his life. Both have wildly different things happening in each other's lives, but there is a sense that they have a connection that is yet to be fully realised. In the trailer we see some marriage mediation going on with Howard at the centre. But, which Howard is that? With his tie undone, it looks a lot like our Howard does find his way home, but what is he doing mediating what appears to be a dispute between the Quayles? We're fascinated to find out. Time is running out for you to watch these shows. Hurry up and press play. Then you're ready to binge season four. 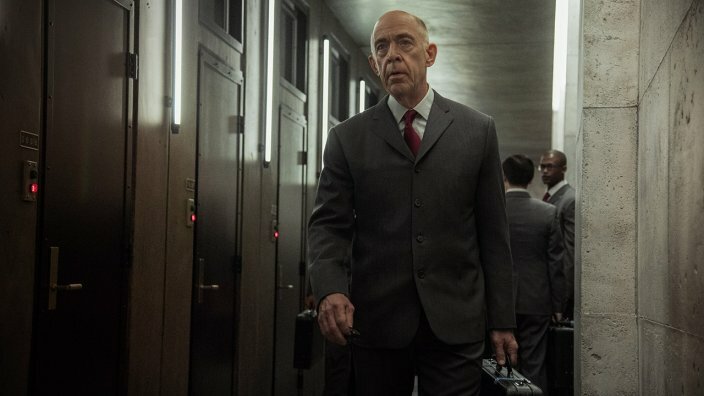 Counterpart incorporates science with intertwined genres and dives into a pool of universal philosophical pondering to come up with a remarkable show that smacks of a cult series in the making. The spy drama with a twist stars a double dose of Academy Award winner J.K. Simmons. It screens exclusively in Australia on SBS and SBS On Demand.